Transcend, the flagship annual management and cultural fest of SIBM Pune, culminated on 20th January 2019 after a three day successful run. With a legacy of over 28 years, Transcend is one of the most sought after B-school events across the country. The theme for this year was Circle of Inferno, symbolizing the glory of passion to explore infinite possibilities and succeed through excruciating flare and fiery of blaze. Transcend 2019 associated with business stalwarts such as SBI, Britannia, Tetley, HPCL, Monster Energy, Audi, Grafio and Raymond. Transcend was inaugurated with the presence of this year's chief guest – Mr. Cyrus Broacha, a TV anchor, theater personality, comedian, political satirist, columnist, podcaster, author and also the host of CNN's – "The week that wasn't". This was followed by a riotous stand-up act by SIBM’s proud alumnus – Mr. Vikram Sathaye, host of the hit show "What the duck". The evening saw several cultural competitions unwind in the SIU Auditorium and the main stage like Acoustica & the Battle of Bands. Day 2 witnessed Swing in Sync- dance competitions, Rampage, the ramp walk contest and concluded with Sunburn coming to campus and DJ Shaan playing at the EDM night. 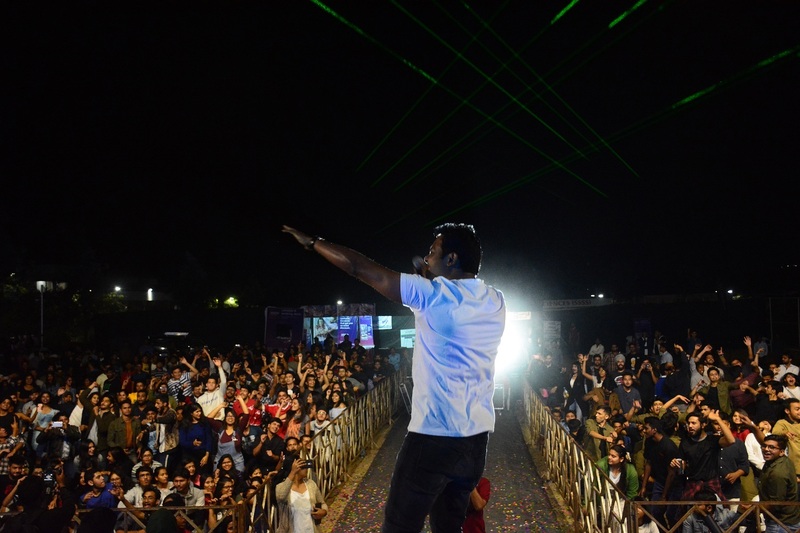 The final day brought in an exodus of student to the concert of Divine(Gully Gang) who beguiled the audience with a captivating performance and made the crowd dance endlessly to his beats. The War of the DJs also happened on this day. The three days of Transcend experienced perpetual energy and zest while management events like Marketshastra, For the Greater Greed, cHRysalis, Opstrat, Barter Master, Let’s Talk Business and CEO Challenge engaged the students to put their best foot forward intellectually. The flagship event Last Man Standing was won by Prashant Garg from TISS Mumbai after making his way through 72 hours of strenuous and mentally excruciating tasks. With Transcend 2019, SIBM Pune welcomed young minds to be a part of the extravaganza, stirring their creative geniuses while interacting with the bests in the country, showcasing their acumen and honing it all the same.